The new Jeep Grand Cherokee SRT8 combines capability, utility and distinctive style with a 6.1 liter V8 engine. 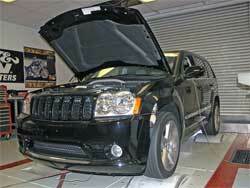 Add on the Street and Racing Technology's (SRT) approach to performance and the result is a powerful new Jeep. 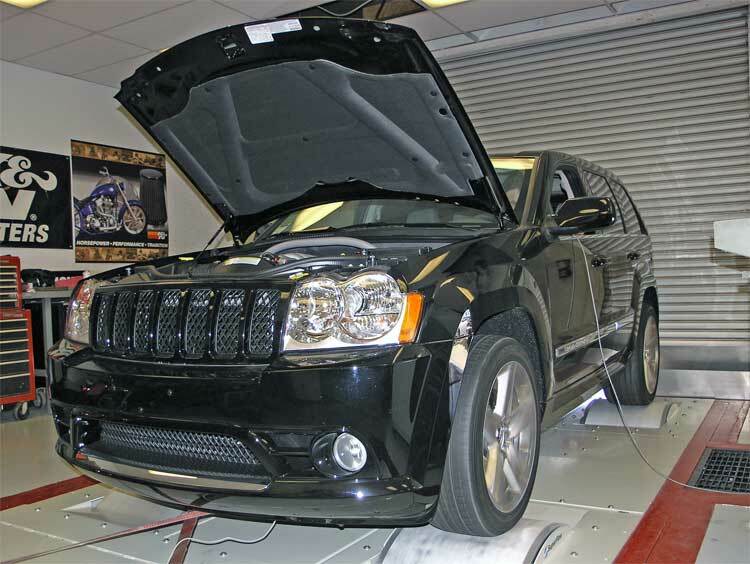 K&N Engineering has designed a high-flow air intake system (57-1555) for the Air Intake for 2006, 2007, 2008, 2009 and 2010 Jeep Cherokee with the 6.1 liter V8 engine. 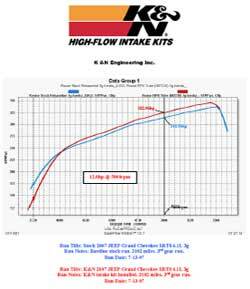 K&N dynamometer testing shows a 12.0 horsepower gain @ 5000 RPM. The 6.1 liter engine is new for this vehicle. 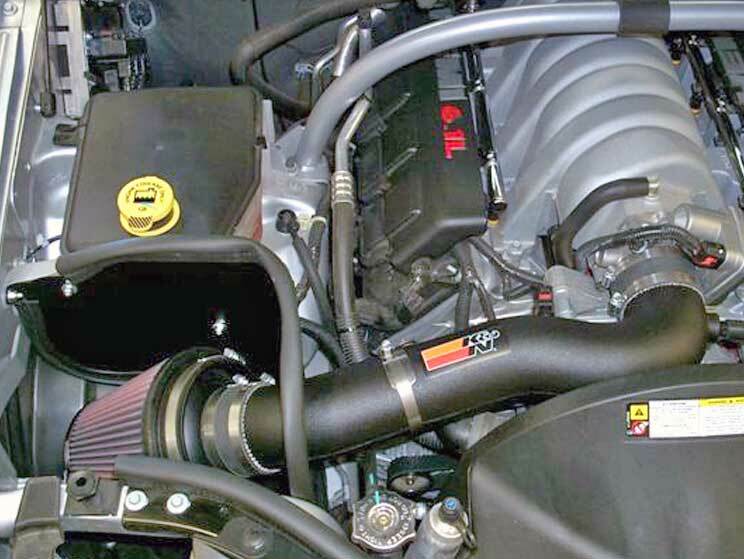 K&N designers removed the OE air box and intake and built a larger, by diameter, intake tube to open up the breathing capacity necessary for the 6.1 liter engine to get the full amount of air it needs. 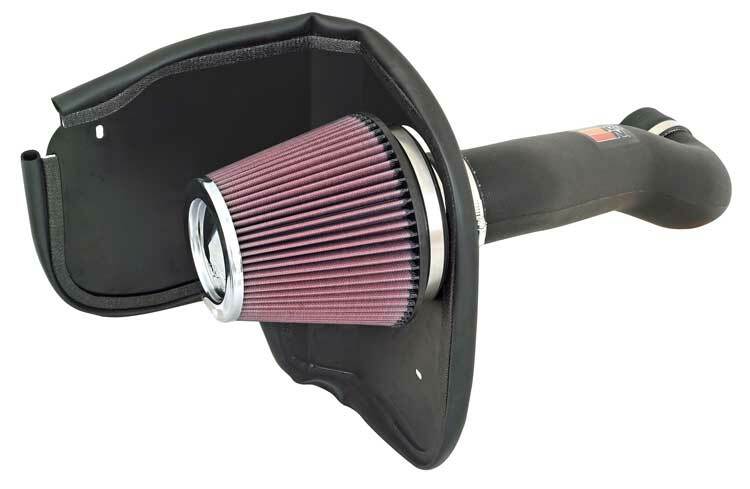 The K&N cold air intake design provides excellent air filtration and lower restriction than the factory air box system resulting in an immediate power gain. A large chrome top K&N high flow air filter (RF-1042) allows free flowing air into the intake tube. The heat shield assembly is installed into the engine bay using factory mounting points. The heat shield isolates the K&N air filter from the hotter temperatures around the engine and allows it to receive a consistent flow of fresh cooler air. K&N used one of the largest filters in stock for this intake system to allow virtually unrestricted air flow and increased dirt capacity. K&N also incorporated a radius adapter at the entrance to the intake tube to help smooth out air flow coming through the air filter. The 57-1555 can be easily installed in 90 minutes or less and is backed by the K&N Million Mile Limited Warranty.